They say that elephants are the wisest animals in the jungle. We have a hunch that this has something to do with them being slow and grey and wrinkly, but we digress. They say that an elephant never forgets, even. This would be pretty impressive, but in all fairness, what does an elephant have to remember? Its mother-in-law’s birthday? Where it put the keys to its riding lawnmower? The nuclear missile launch codes? Look, we’re actually quite fond of the gentle giants, but stomping around, bragging about having a good memory, when all you reeeeally need to do all day is find treats to munch on is kind of uncalled for, don't you think? But we guess, to the elephant’s credit, its perfect memory might be useful for some things. Knowing which people at the zoo are likelier to hand out peanuts is a crucial time-saver. Remembering which water holes fill first come Springtime could be the difference between dehydration and, well, hydration! And we understand that when an elephant goes on vacation, it never forgets its trunk. 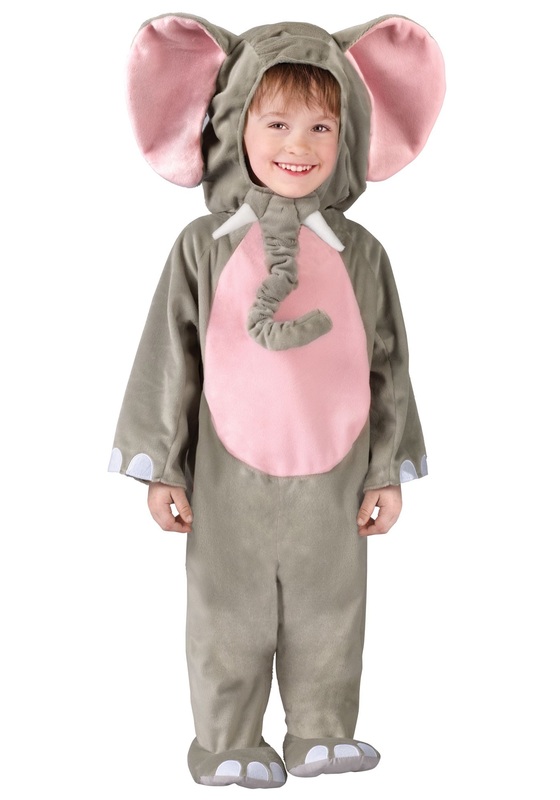 Our Toddler Elephant Costume might not imbue your little one with impeccable memory, but this is as good as it gets if your kid’s going to dress up as a big old pachyderm. It’s soft, easy to put on, and conveniently all in one piece, so no one will be forgetting any trunks. The pure polyester is so posh, in fact, that this may become a favorite pair of jammies long after the Noah’s Ark play or Republican National Convention.